Baltimore City Public Schools is one of the only systems in the area that is not modifying its schedule Thursday to deal with the current bought of snow, sleet and freezing rain. Baltimore City Public Schools is one of the only systems in the area that is not modifying its schedule Thursday to deal with the of snow, sleet and freezing rain accumulating on local roads and sidewalks. Schools remained open until their normal closing time, prompting a stern response of frustration and disappointment from the city's teacher's union. 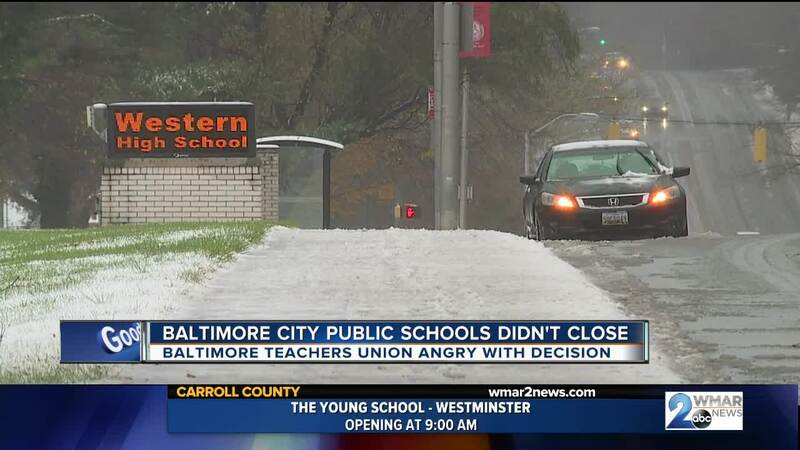 Baltimore Teacher's Union President Marietta English released a statement bemoaning the potential peril students and teachers will encounter by being kept in school for the full day as the weather continues to get worse. 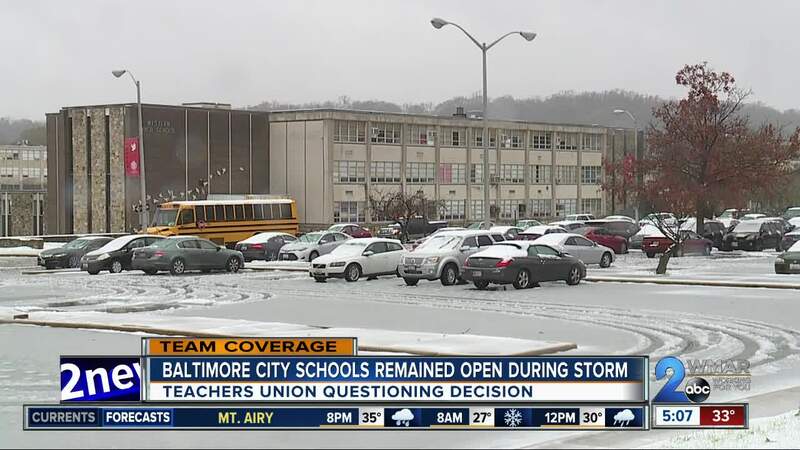 “Baltimore City Public School’s decision not to close schools early today is quite distressing. Snow and ice are covering the roads making the commute our teachers, paraprofessionals and students must travel extremely dangerous. Additionally, our students who walk to and from school will have to contend with traveling on icy sidewalks to get home. City school officials sent a letter to parents saying it's always a difficult decision to close school and safety is the number one priority. They said the school system evaluates weather conditions often and decided to operate normally. School officials also went on to say that if parents feel conditions are too dangerous, they can always keep their children home from school.